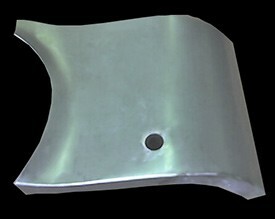 This panel repairs the area of the front fender below the headlight and to the bottom pan where it has the mounting flange. It does not go all the way to the grille opening. It has the hole for the parking light wire to pass through.